ESOTERIC is proud to announce our partnership with Forgeline Wheels. For over 20 years, they have applied racing experience and passion for motorsport toward designing and building wheels that can withstand the extreme demands of sports car racing. With an unwavering commitment to strength, safety, and performance, they have earned a place on some of the world’s fastest race cars, including those in IMSA, World Challenge, SCCA Pro Racing, and virtually every amateur racing series in America. 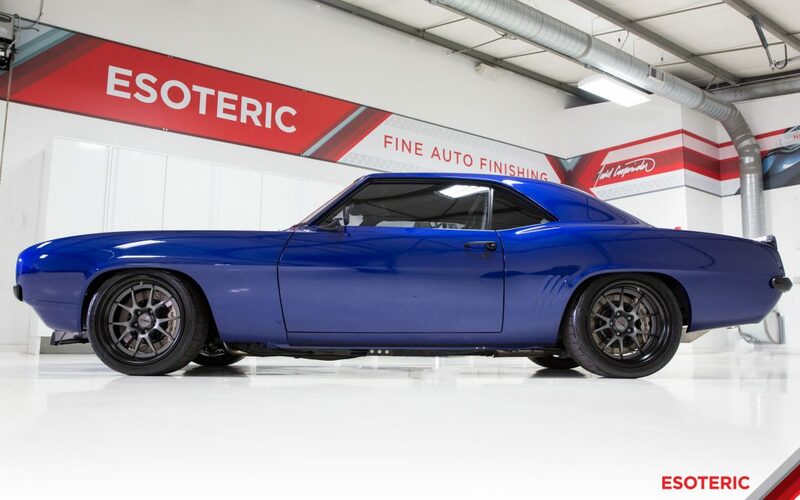 ESOTERIC Fine Auto Finishing has always offered the highest level of services, products, and professionalism, which makes the decision to add Forgeline to our ever-expanding product offering extremely easy. Forgeline’s own in-house manufacturing and engineering capabilities also provide unparalleled flexibility when it comes to vehicle fitments, wheel sizing, and custom finish options. Whether you need a wheel that is specially-built to accommodate your unique suspension and brake package, or you just want a custom color combination to express your own individual personality, Forgeline can get it done! Please contact us to discuss getting Forgeline Wheels for your car!